Can the whole staff do these simple team building activities? You need to consider very carefully if all your people can do these exercises. You might think that they are simple enough, but you need to consider who will perform which task. You might want to divide people up based on their level of fitness or any physical disabilities they might have. Your ant to be fair to everyone, and you want them all to have something to do so that they feel a part of the group. This little bit of planning that you do right now makes the games that much more fun when you get started. You need to condense the time that it takes to do these games, but there needs to be some explanation upfront. You want everyone to know what is going on, and you want them to be able to get right into it when the game starts. If you are not in a place where you can explain much, you might want to send out instructions to everyone before the meeting where you will do this game so that you are only giving an overview of what you already sent. Ask people if there are any questions. There are some people who will be confused, and you want to give them a chance to ask what to do. Your ant everyone to feel included, and the only way to do that is to take questions. Make sure that you have enough space. You should look into the biggest rooms in the school so that you can all meet in one place. You might need to go to the gym, or you could use a large part of the library. Just make sure you have room even if you have to go into the cafeteria. You must have time for reflection when the games are over. There are some games that just happen, and you need to decide if you can get some reflection time in after so that the group can start to talk about how it worked for them, how it makes them feel, and how they could use it with their students. This is one of the best parts of these games because your staff can learn and truly reflect. You should try these exercises early. This should be one of the first things you do when everyone gets back to school. You want to get everyone when they are fresh, and you want them to leave the space energized. You could do the same with your students when they get into the classroom. You should try these throughout the year. This is a fun thing to do when you need to get in a laugh during the year. Your staff needs the levity, and your kids might need that same level of fun in their routine. Snakes is a team exercise that you can do in the library, gym, or cafeteria. You must split the faculty or staff into a few large groups, and you need something to use as a blindfold for everyone but the person in the back. This is a silent game, and it requires a bucket, an object, and non-verbal communication skills. You could start this out with a talk with the staff about how non-verbal communication is far more effective than verbal communication. This is a good exercise to do with kids because they are apt to talk, and teachers need this exercise because they could start lecturing if they are not careful. Be certain that you have given this introduction before beginning, and you will find that everyone is in the frame of mind to create a good learning experience for everyone. The game starts with two or three lines of people. The last person in the line is not blindfolded, and everyone else is. The person in front must be told how to get from where they are to the goal without using any words. The person in the back is leading, and they have to send that message up the snake to the front. The person in the front has an object that they can toss in the bucket, and they are to be sent to the place that will let them drop the object in the bucket. Every team needs to come up with a way of communicating that is best for them, and you will simply let them work it out. They could tap each other on the shoulder, or they could tap the leg of the person in front of them like in the video. It all depends on what that group thinks is best, and you are now in a race to see which group can communicate the best. The group has to cross the space before the others, and they have stop just short of the goal so that the leader can find the bucket without any help. This is an amusing thing to watch, and it is fun because everyone has to move in-tandem. This is a game that you can play in just a few minutes because everyone is racing to ge tto the goal, and you will find that ther teams all finish at different times, in different ways, and with differing speed. You need some reflection time at the end that will give the staff a chance to talk about how they did this. They need to reflect on how their non-verbal communication worked, and you might ask everyone if they are learning something about how they communicate in general. If you have a large staff, you could then break people up into groups based on their preferred form of communication. Do the game again, and you will see different results. This game is very good for your students because they learn the same things that you learned. You can pass information off to your kids after having played the game yourself, and it could be used in parent meetings because even the parents need to be familiar with the things that you are teaching their kids. This is a big team-building exercise because it helps you get people into groups that might not know each other. It also helps new teachers laugh with their new colleagues. You will all be laughing throughout the game, and the groups will seem to have bonded by the end of the game. The reflection time is important because the team should allow you to learn how people think. You will pick up on information that you might not have had before, and you will come across people who have interesting takes on the game. Take all this information into account, and you might use it later in the year by playing this game again. The game could be used in an administrators meeting, or it could be rolled out to the community as a way of teaching problem solving skills. You want everyone to have a chance to build community, laugh, and learn. The potato icebreaker is one of those simple team building activities that allows everyone to be a little introspective. It also allows everyone to introduce themselves. This can be fun for kids who do not know each other, and it is really fun for adults because it makes them think very hard about what they are doing. 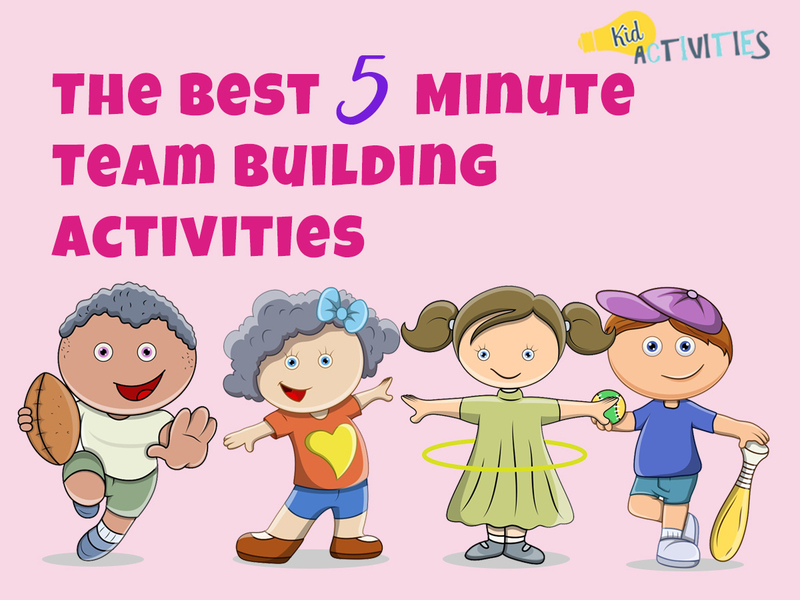 Quick team building activities for teachers are supposed to be cheap and simple. You can get a bag of potatoes and some straws at the local grocery store, and you need a couple pieces of papers to hang on the board. You will write some things under those pieces of paper, and you will have some time for reflection when the game is over. The game starts when you ask someone to come up to the board with a straw. They are handed a potato, and they are issued a challenge. You are going to ask them if they can jab that straw through the potato. This probably seems a little silly, but you need to remember that many people will think they are going to break the straw. It is true that they could break the straw, but you have to give them a chance to try. They need to really think about it, and they should give it a shot. Every person who comes up to the board is going to be asked their name so they can introduce themselves to the group, and they can use that time to get to know everyone. Once they have tried to jab the potato with the straw, they will either get it right or break the straw. Most people will get it right the first time, and the people who are watching will assume that they can do that. It is much harder than it looks, and that is what you want. You want the other people in the group to think that they can easily do this. They will be surprised at how much they have to think about it when they get up to the board, and you should be excited when they get it right. You are then going to ask the group to do a little bit of introspection. You can ask them if they thought they could do it, and you should ask them if they were wondering why they were doing it in the first place. You should ask them about their thought process. This is very revealing because everyone is different. You will learn how other people learn, and you will learn how other people think. This is also good for kids because you can explain that everyone processes information differently. The exercise will be fun for your kids because they think stabbing a potato is funny. They will get to talk about how they learn, and you could learn a lot about your kids if you do this. You can get to know your staff, or you can get to know your friends that much better. Everyone deserves their turn at the board, and you should have a discussion after about how people learn. Even teachers forget about these things because they have so much going on. You will ignite a talk about differentiated education, and you will find that you could help people get in the right frame of mind for teaching. This is easily the most fun you can have playing one of these games, and you should even try this with school leaders or parents. There is no reason to avoid this game because it can do so much that you did not realize. You will see the eyes light up around the room as people see the point, and you could change your whole school community with this game. You might even learn about someone who rarely talks. The linked push up is one of those 5 minute team building activities that you might not want to do with everyone because they might not be physically able. However, it is still something that you can do with people who are fairly physically fit. The idea behind this exercise is for everyone to pull their own weight, and you will find that this is a great activity to do in PE class. You will need to start with at least three people who will all have their feet either on someone’s back or across their legs. The people that do that will have to work that much harder to lift themselves so as to not burden the other people, and they also have to give the other people help if they cannot lift themselves. You could make a massive grid of people who are all set up like this, and you could all do a couple pushups together. Everything is made easier if you all work together, and you have to try different configurations so that you can see which one works the best. The purpose behind this exercise is to work out the best way for everyone to work. You will notice that the group cannot be thrown out there to get it right the first time. You need to make some adjustments, and that is a good time for you to talk about how you can make adjustments in your classroom. You will notice that you could talk about this exercise throughout the year, and you will give all your teachers something to think about. You can do this same exercise with your students, and they will learn that they need to help each other while also pulling their own weight. Everyone has to be engaged both ways, and this could even be something that you show the parents at an open house because you want them to understand how your school approaches these things. You might try this in your first faculty meeting, and you could make this game even more interesting. If you have people who are very physically fit, you could put a book on their back or put your hand on their back. You want to show everyone that the unnecessary pressure that comes from someone is not always helpful. Some people can handle it, and some people cannot. You will get the best results when you have had talks about how this exercise works, and you will find that the kids in your classes will get the same thing out this exercise. It might seem simple, but the meaning can be very deep if you are trying to teach everyone how to work together. You could use this exercise at any time if you believe that people are not all working equally, or it could be something that you use to introduce your ideas about teamwork at the beginning of the year. The team-building exercises that you see above are not set in stone. You can adjust them to suit your needs, and you will find that you could change the games so that everyone can do them. You might do bigger versions of these games with your kids, and you could do the simpler versions with your staff. You do need to think about fairness, and you must let your staff participate in a way that is best for them. These little considerations make the games better, and they produce a staff environment that is automatically much more calm and fun. You are showing everyone that they can get along, adn you can build staff chemistry that you would not have had before. A staff that has been together for a long time will eally enjoy these games because they feel like they are playing a game that is just a time to laugh. That laughter makes school more fun, and it helps your new teachers get integrated. Your only concern should be how the group works together. You can teach your students how to do these exercises as you get intot he school year, and you will have the same conversations that you probably had with your staff. You will be much happier with the results that you get if you have talked candidly about how these things work. You also get to change the way that your staff thinks because they are doing the work. They have to get in there and do the best they can or these exercises fail. 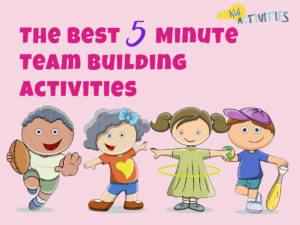 There you have it, some fun 5 minute team building activities.